One of the most common ways of color coding is using different colors for different categories. The categories differ for everyone. Here are two ways to categorize. 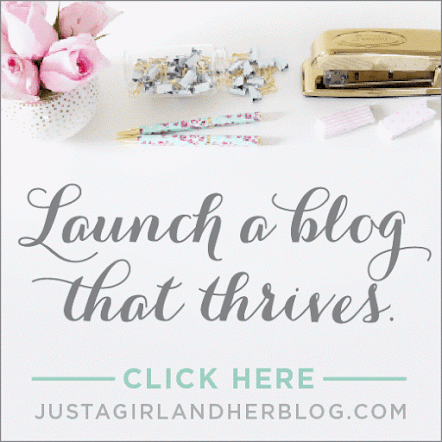 Simple and most used method - assigning one color to each area of your life. For example, Green - Home, Red - Work, Pink - Personal, Blue - Spirituality, Yellow - Blogging, and so on. If you see your tasks in categories, then color coding category-wise makes sense. Also, this form of color coding helps you recognize which area of life you are more or less focusing on. If you primarily distribute your work as per people around you, then assigning one color to each member is a good idea. It does not limit only to family members. You can also add your assistant, friend, helper, etc. For example, Blue - Parents, Violet - Self, Green - Husband, Pink - Daughter, Yellow - son, Orange - Assistant at work, and so on. Avoid assigning a color to 'random/miscellaneous/other' tasks. It may overtake other categories. You can keep random tasks, that don't fit in your defined categories, uncolored (I mean black color!). 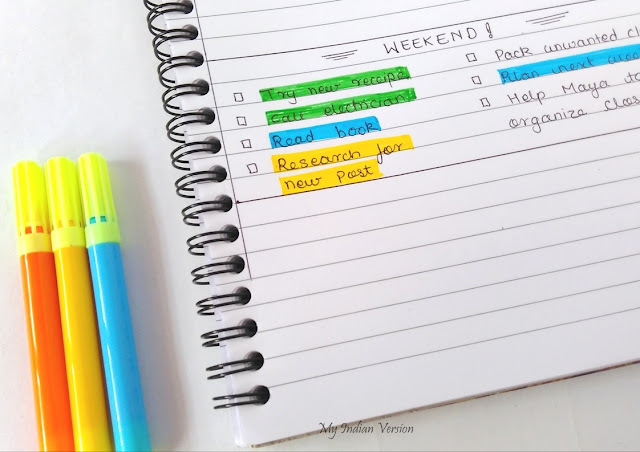 Priority or urgency wise color coding allows urgent tasks to be highlighted between a ton of other tasks. Here you won't use colors for every task but only tasks with priority will get the coloring privilege. Identify your priority tasks and arrange them from highest to lowest. Use a dark color shade for the highest priority tasks, medium color shade for medium priority tasks, and light color shade for lowest priority tasks! For example, red for most urgent task(s), orange for next urgent task(s) and yellow for least urgent tasks. 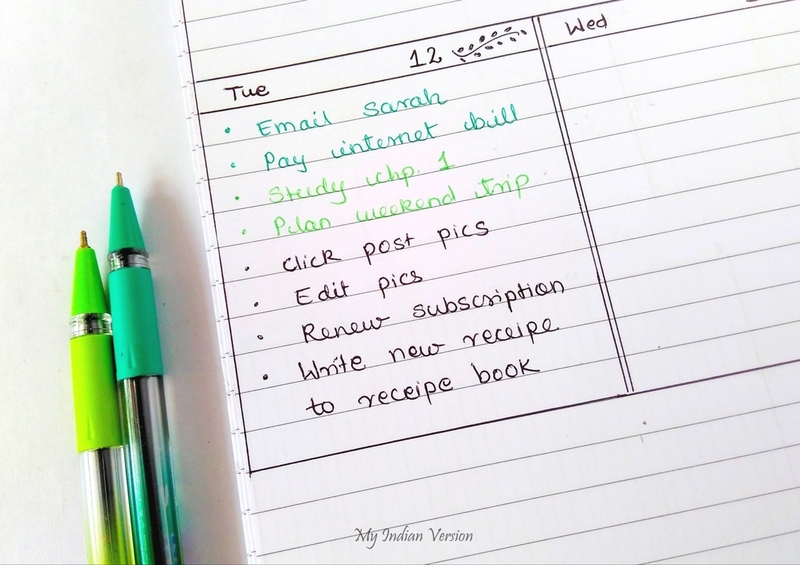 This will make easier for you to identify which task(s) need your attention first. As above you can assign different colors for different priorities. Like, Pink - Highest priority, Blue - Mid priority, and Green - Lowest priority. 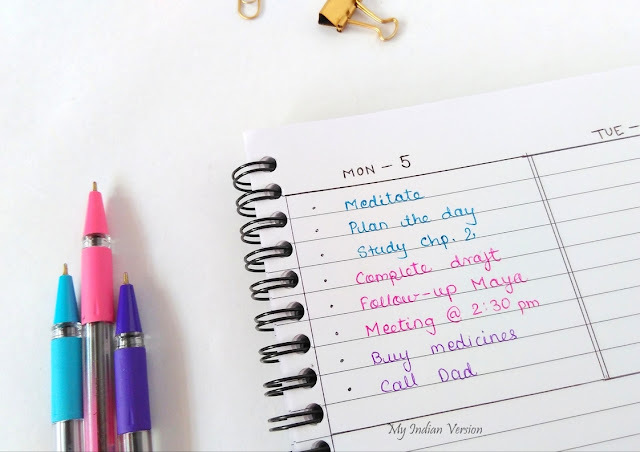 This form of color coding tells you at-a-glance, where to start with the day. Remember, avoid color coding normal priority tasks. Keep them in simple black color. Time-wise color coding is a great way if you manage your tasks according to the time of the day. 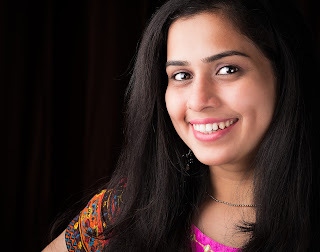 Here time-wise don't mean 'hourly' time management. If you have a routine set, then this form of color coding can be very helpful to you. Assign colors to each time slot of the day, you prefer. Most common time slots are Morning-Afternoon-Evening. If you get up early in the morning (by 5:00 - 5:30 am), then you can have time slots as Early Morning-Morning-Afternoon-Evening. You can color code as, Green - Morning, Pink - Afternoon, and Blue - Evening. So, when you look at your day plan, you exactly know what you need to do at what time of the day. 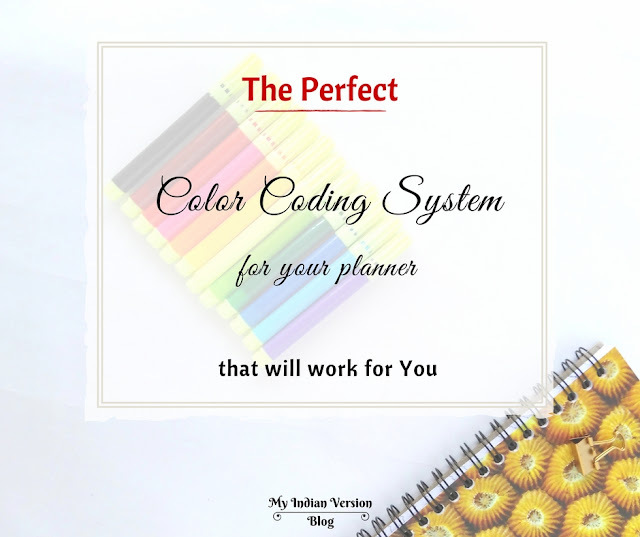 If you don't have routine and work when time is available, then this form of color coding will help you a lot. Some tasks take 5-minutes to complete, while other take hours. Here you will assign colors according to the time taken to do the particular task. For example, Blue for 5-minutes tasks, Green for 1-2 hours tasks, Red for 2+ hours tasks. Just by looking at the plan you can easily find the task you can complete for the time you have now! Of course, it goes without saying. Color pens are easily available anywhere, in various colors. So, if you are a pen addict lover, then color coding your planner can be fun. You do not need '20 shades pen pack' to color code your planner. Minimum four color pens are enough. The great thing about highlighters is that you can write all the tasks with a single color pen and later you can organize them using highlighters. The best part of sticky notes is that they are movable. So, if you cannot complete a task today you just need to shift the sticky note to tomorrow. No strikeouts or migrating arrows. Also, if you tend to juggle your tasks, this is a good option. Eventually, you will get used to Red for work, Blue for morning, Yellow for daughter, and so on. 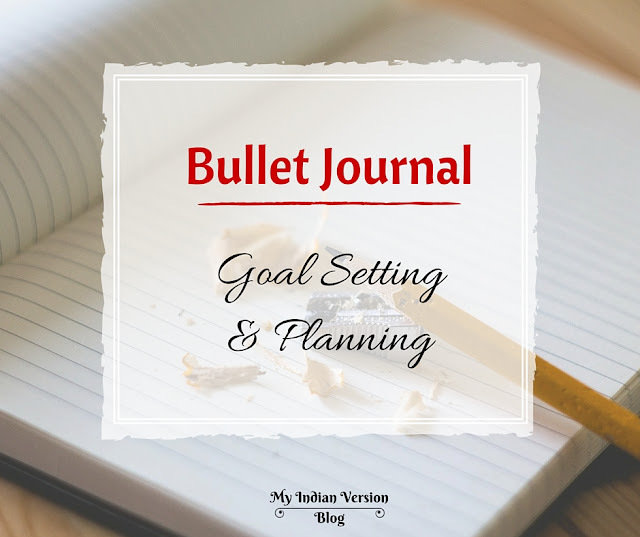 In next post, we will see the more customized way to color code in the planner or bullet journal. 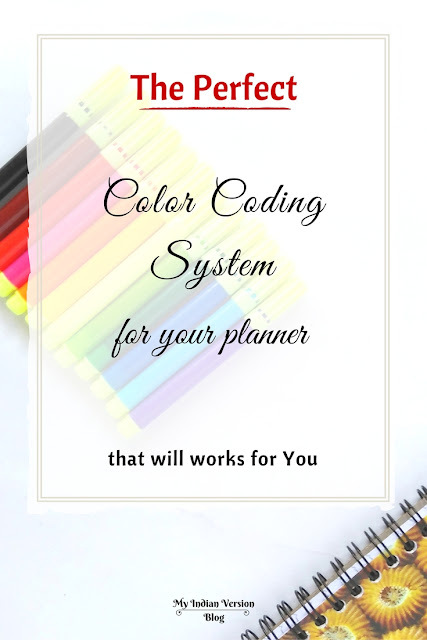 Do you color code in your planner? No, why so? Yes, what is your way to do it? I will love to hear your color coding system in comments below! I really enjoyed this write-up. 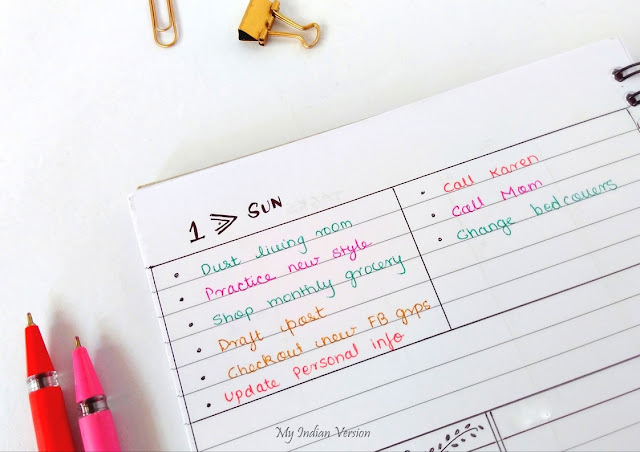 I still haven't decided if I want to use color-coding in my planner, or how, but this has given me some good ideas to think about! I'm glad that it helped you, Emma. I liked that you are taking your time to understand what will work for you. Also, you can see more on color coding in my next post! Those golden binder clips are so cute. Can you please let me know where you got it from? Sangeetha, I colored them myself! But you can get such golden clips on Amazon too. That sounds great Christina! Color coding can really help organize thoughts and tasks at one place.